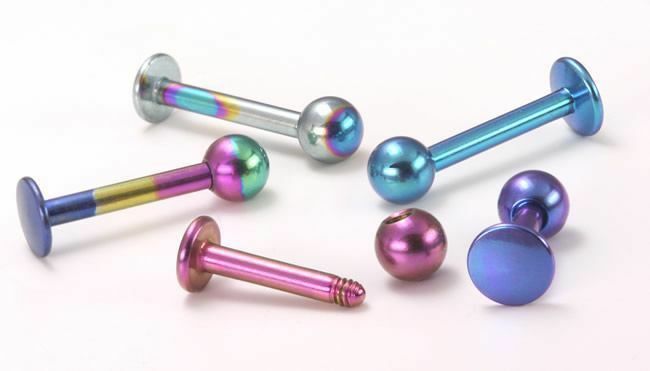 This versatile labret stud, manufactured from high quality titanium, is ideal for labret and monroe piercings, as well as nostril and various ear piercings. 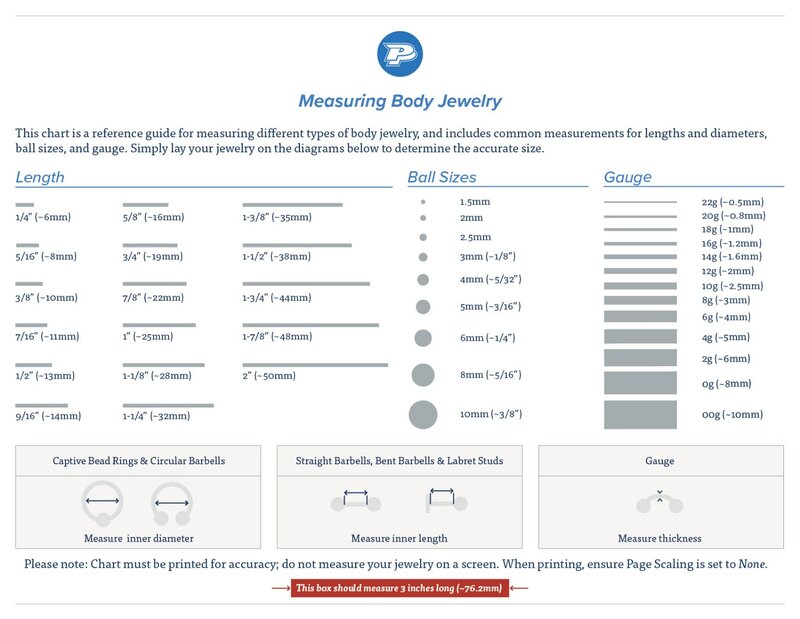 It is available from 1/4" (6mm) up to 7/16" (11mm) in 18 different colors. All sizes come with a 4mm titanium ball, with two exceptions — the 7/16" black labret stud has a 5mm ball and 1/4" high polish labret stud is available with a 3mm or 4mm ball. The flat back disc has a 5mm diameter and is 1mm thick. This labret stud is priced per one.